...and in July in the Creative Play section-again in great company! 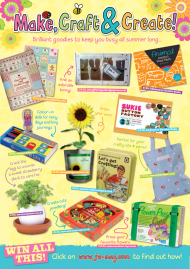 Carddies featured in the lovely Friends magazine! Loved appearing in this popular Wimbledon magazine. Our little Carddies rower (Carddies Sports set!) popped up in the Parents' Notebook! The new Carddies sets, Carddies London and Carddies Sports, featured in the lovely Angels and Urchins magazine. Our new Carddies sets, Carddies London and Carddies Sports, were featured in the June issue of Department Store News. Carddies were featured as a Hot Product in these three beautiful magazines! We were also thrilled to be included in Sharon Trotter's piece on Stress-free travelling with babies and children in the same magazines! 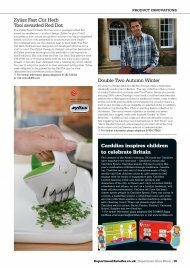 Carddies appeared in the lovely JW magazine!